LAUSANNE, Switzerland — Launching a new global competition into a packed sports calendar, field hockey's governing body hired the former top salesman at FIFA to oversee it. "That is where the beauty comes — every game is a home game," Weil said in an interview with The Associated Press. "We expect every game to be packed and loud." Hockey joins a crowded field of sports trying to create and renew competitions, connect with viewers using new broadcasting options, and involve athletes more in decision-making. New management at FIFA which ousted Weil as marketing director has met European resistance to its Club World Cup plan; the International Tennis Federation has upset many players with Davis Cup changes that drops home-court advantage field hockey is embracing; top swimmers are defying their governing body FINA, including a class action suit in a Californian court. To connect better with players, the FIH collected personal email addresses of players at the four-yearly Women's World Cup in London last year. "We want to involve them, ask them questions," said Weil, who plans fewer changes in the game's rules. 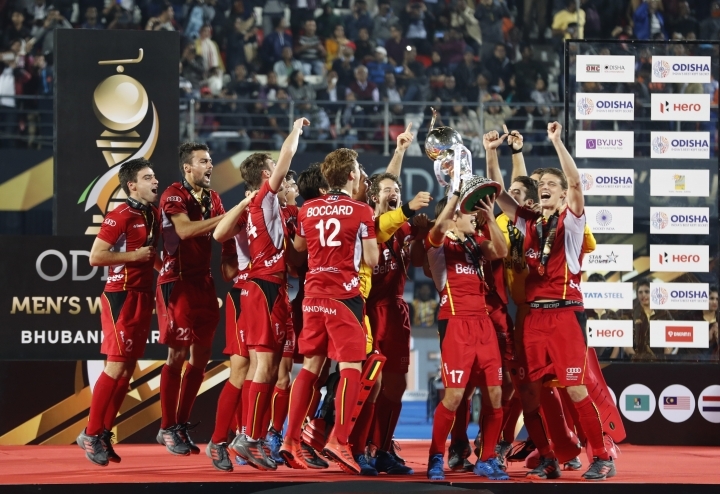 To connect better with fans, the FIH will broadcast Pro League games on its own streaming platform, FIH.live. "In the beginning we have to keep it free, we have to keep it simple," Weil said. "It's only geoblocked in the country where the broadcaster will show it live." Weil was recommended to FIH by corporate headhunters, and won a six-candidate process. "They were quite a bit surprised that I would accept their offer," said Weil, who acknowledges having been a "typical French guy" knowing little about the sport.